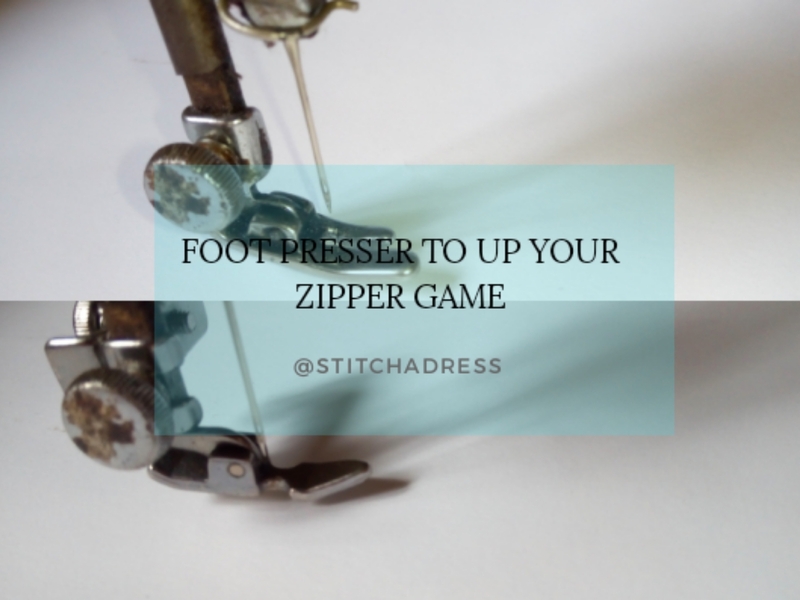 STITCH-A-DRESS: FOOT PRESSER TO UP YOUR ZIPPER GAME! FOOT PRESSER TO UP YOUR ZIPPER GAME! Forget about the title i was excited when i thought about it *laughs* but i think the real title should have been " foot presser to make zip fixing easier" yea something like that cos am not even satisfied with it sef. P.S. ignore the brown specks on the machine trust me this machine has seen better days! 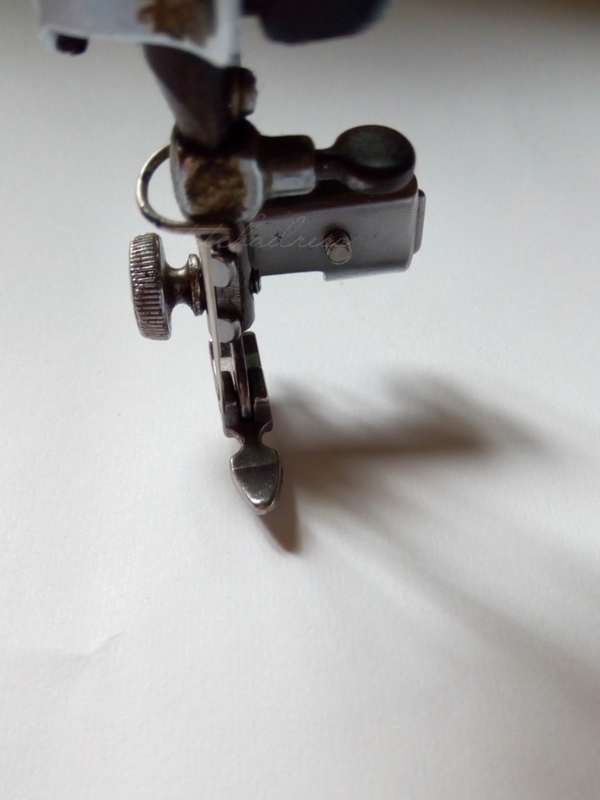 Sometimes we experience difficulty when trying to fix our zipper with the normal foot presser like this one above and its so because of the structure. 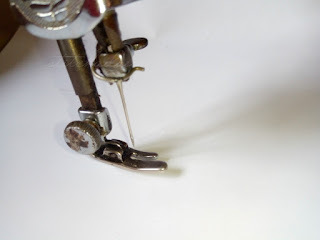 As seen in the picture it has two feet for pressing down fabrics to give tight and neat stitches which is a good thing but when you want to sew in your zip it could be a headache. 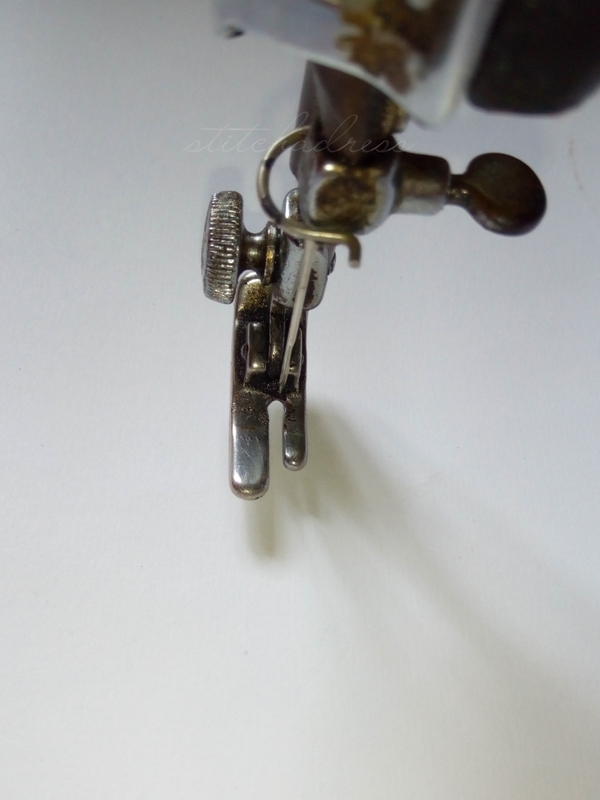 The outermost foot tries to rest on the zipper and glide along which makes sewing difficult cos it keeps shifting the stitches to the left making it appear rough, bent and you spend more time fixing a zip with this foot presser. But with this one, sewing a zipper is way faster, easier, neater and all you can think off! The reason is... there is no outer foot so there's nothing to stand in the way of the zippers as you glide the foot presser through whilst sewing. So if you have been experiencing difficulty fixing your zip do get yourself one! Mine cost 300 naira in Aba market and outside Nigeria that's almost a dollar. Just tell them you want to buy foot presser for invisible zip or foreign zip. Do you use this foot presser? Has it made sewing zippers easy for you? Don't forget to share, like, comment and follow me on FACEBOOK and INSTAGRAM. 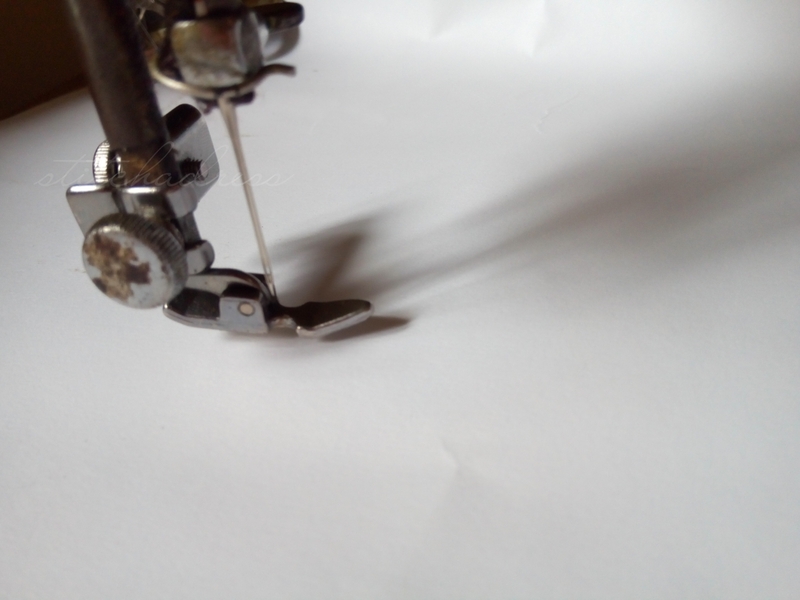 HOW TO GET YOUR SEWING MOJO BACK!